Our acorn learning sessions provide knowledge and skills updates at a faster pace, fitting in with the faster pace of modern life, fee earners and people who learn better from shorter events. Why use Training Acorns in your organisation? People take more in – research proves that we remember more from short burst sessions. 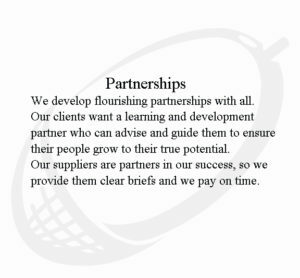 We can be fully flexible about the duration to fit in with your business needs. Sessions can be from 90 minutes to half a day. 24/7 delivery – we can deliver at a time that suits your business need. Pragmatic learning – your people will leave with practical and easy to apply learning. Sessions focused to fit learning objectives. Time/work friendly – your people are away from their desks for shorter durations. Expert, inspirational and motivational facilitators. Regular acorn sessions are motivational, fun and developmental. Training Acorns can accommodate up to 20 staff and can be 45 minutes to 2 hours in duration. You can purchase a full day as the above example or just one Training Acorn in a day. Consultancy and individually tailored coaching and development for all areas of a Train the Trainer Course is only a phone call away. Please contact us now.